Looking for a different job or new opportunity may require more than opening up a computer. Often times I think that people are more inclined to apply for jobs that are in line with what they are currently doing. Accessing sites like Indeed.com , Monster.com or even Craigslist will present you with opportunities that someone else needs. 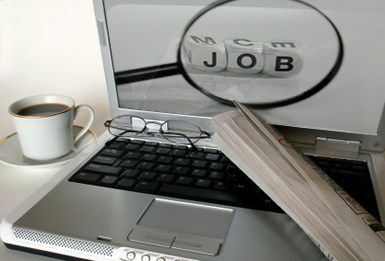 By “inquiring within”yourself and asking yourself what it is that “you need” may change the course of your job search. Getting in touch with what would really feed your soul or spirit may take you on a different course entirely. Merely saying that you are unhappy with what you are doing is not enough to change the situation. You are going to have to tap into what will make you happy. Because it is obvious what is “not” satisfying you right now. By beginning to identify what will feed your soul and spirit, it can motivate you to take action. But how do you know what will fill your soul? Ask yourself a couple of questions. What is it that you excel at? We are not all meant to be salespeople or customer service representatives. As a matter of fact there are quite a few people who prefer working by themselves with the least amount of interaction with people. Those people who work primarily with numbers, or computers have a distinct place in the work force. But you will not know where you need to really be until you begin to accept and embrace who you really are. Following what you do well will serve to your ultimate purpose in the future. Take a look at what you truly have to offer in terms of your skills and “inquire within” before you respond to that “HELP WANTED “.sign. It could make all the difference in determining your future!